Croatia men’s national football team is governed by the Croatian Football Federation and represents the country in international football competitions. The current football team was formed after Croatian independence from Yugoslavia in 1991 and by 1993, it gained membership of the major football associations of the world. Before 1990, it played all the matches as a part of Yugoslavia. It first participated in the World Football Cup in 1998 and till now the team has qualified four times for the mega tournament. As far as the UEFA (Union of European Football Associations) championship is concerned, the national team started playing in 1996 and has been able to qualify four times in the tournament. Currently the team holds the 16th position in World Football Rankings and the highest ranking was in 1999 when it gained the 3rd spot in January 1999. On the same lines, it is currently placed at the 23rd spot at World Football Elo Ratings and its highest Elo ranking was in July 1998 when it was placed at the 5th spot. Its Olympic record was good when it was part of Yugoslavia where the team became champions in the 1960 Olympics and finished as runners-up three times in a row (1948, 1952, and 1956). After independence, the Croatian national football team hasn’t made any prominent achievement in the Olympics. Besides this, the team has also participated in some minor soccer tournaments. Since separating from Yugoslavia, the Croatian team hasn’t got any significant achievement in international football competitions. 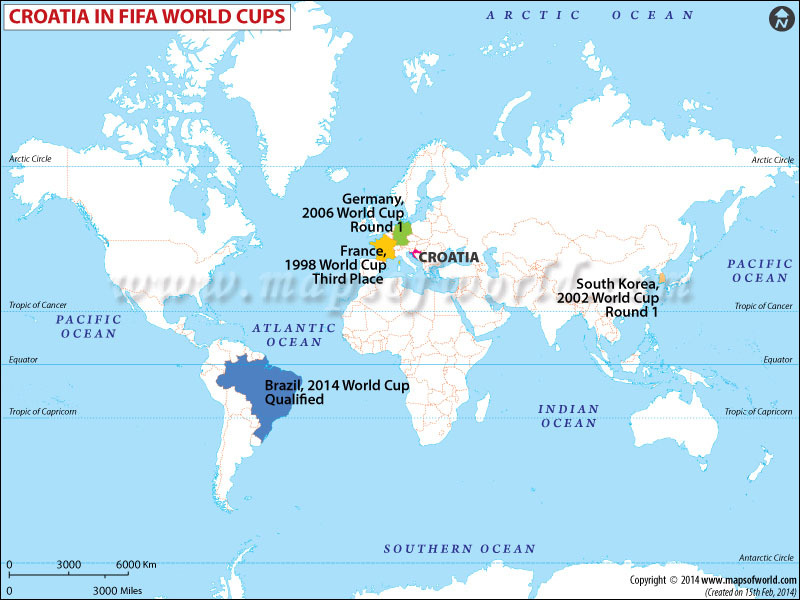 The only notable success it got was finishing at third place in the World Football Cup in the year 1998. As far as the UEFA championship record is concerned, the national football team entered the quarter-finals twice, in 1996 and 2008. In minor tournaments like King Hassan II Tournament (1996) and Korea Cup (1999), the team emerged as winners. The Croatian national football team has qualified for the World Football Cup in Brazil.